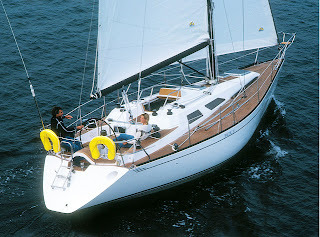 The launch of S/Y Dolphin Dance is booked for the Friday 1st of June, so this is going to be a very busy week - today I worked about 10 hours at the boat. 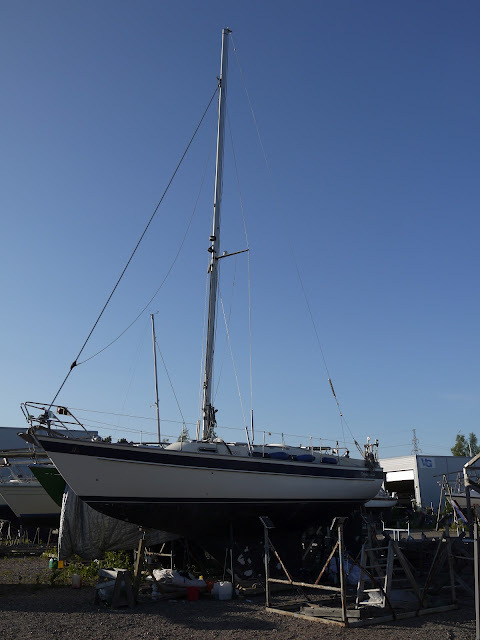 Yesterday we finally removed the tarpaulin and today it was time to raise the mast. We decided to use a crane truck for stepping the mast to save some time and nerves. 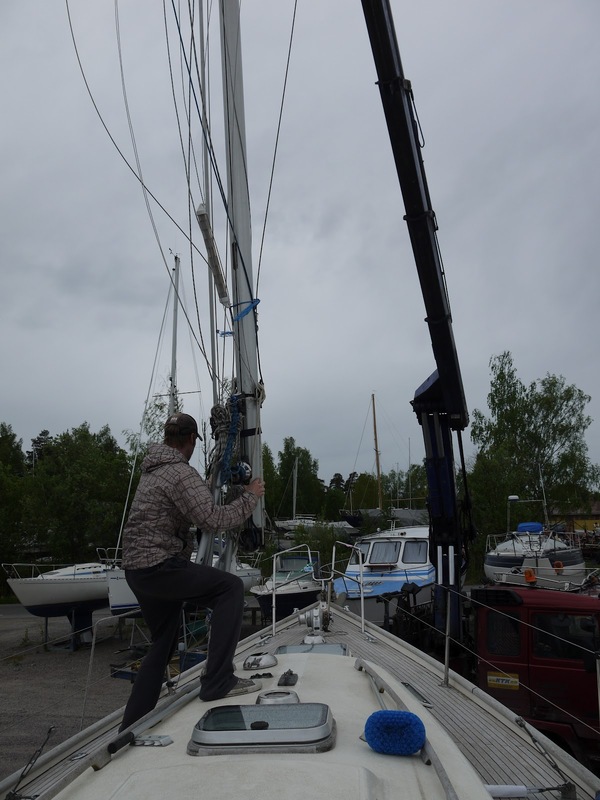 This was also the only option to raise the mast while the boat is still on the hard. When the mast was standing, it was time to relocate the fridge compressor. As I wrote earlier, due to the misconception, the new fridge compressor was first installed vertically. Today we changed its positioning to horizontal and it seemed to be working ok.
She starts to look like a sailboat again after the tarpaulin is removed and the mast is standing again. Stepping the mast took about 15-20 minutes with a crane truck. The operation was much easier and less stressful compared to using a mast crane at the harbour. 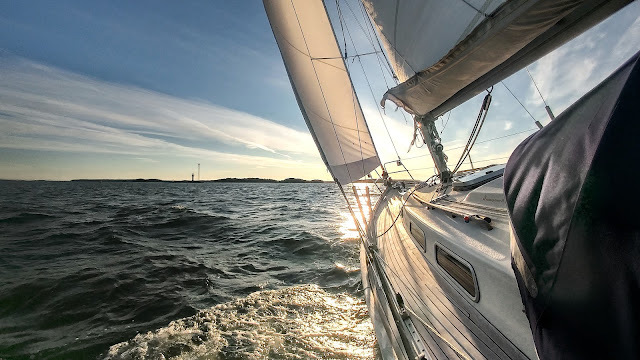 Spring is a good time to maintain rigging screws. The new compressor now re-positioned and horizontally mounted. We are considering adding some protection for the compressor from moisture and other objects in the cockpit locker. Keel is now repaired and primered. It still requires a couple layers of antifouling.